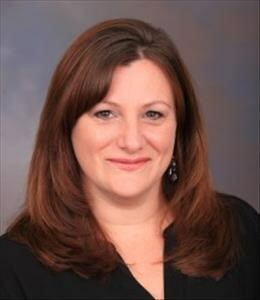 Stacy Schnell enjoys her position as a Realtor Associate with BHHS Fox & Roach and has lived in Vineland , New Jersey for 17 years. She is a working mother of 4 handsome young men and has the support of her loving husband. She strongly believes in integrity, hard work and keeping a positive attitude. Being a native of Cumberland County her roots are deeply invested in South Jersey . She specializes in supporting her clients with the purchase or sale of residential homes and commercial property in Cumberland , Gloucester , Salem and Atlantic Counties . Buying or selling a property can be a daunting experience for many people. As a licensed real estate professional, her goal is to support her clients during every step of their journey towards success. Whether your buying or selling for the first time, or you're an experienced investor, she is dedicated to providing all of her clients with professional, first class service. Stacy's real estate background allows her to produce cutting edge techniques and gives her the knowledge needed to ensure a positive and enjoyable experience. Along with a strong real estate background she also has experience in marketing and in the mortgage industry. Stacy always strives for excellence. Her goal is to exceed your expectations and provide you with exceptional service!